Not at a computer and you wish to add to your dead dude diary? No worries. You can add to your diary directly from your mobile device. 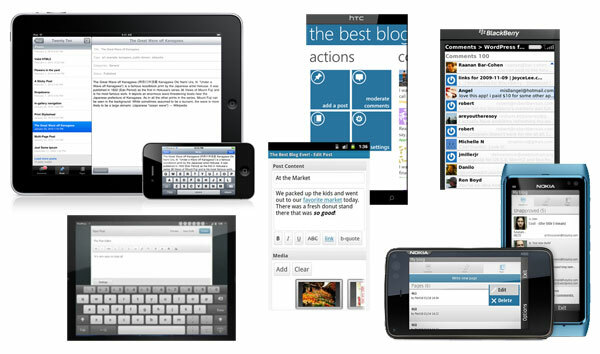 You can find out more at the following WordPress page for mobile apps. The audio file below is a sound recording of Bert Hinkler. He was an Australian aviator. He made the first solo flight from Britain to Australia in 1928. He made the flight in a single-engine Avro Avian aircraft in 151/2 days. Following the flight, which also broke five aviation records, the Australian government made him an honorary squadron leader. You can explore more information regarding the recordings of Bert Hinkler here. A guide that you can use to follow the required steps for adding audio can be downloaded from this link. The film below shows the Governor General Sir Isaac Isaacs arriving for the opening of the Sydney Harbour Bridge. A guide that sets out how to link to YouTube video files in your posts can be found in this adding video worksheet. 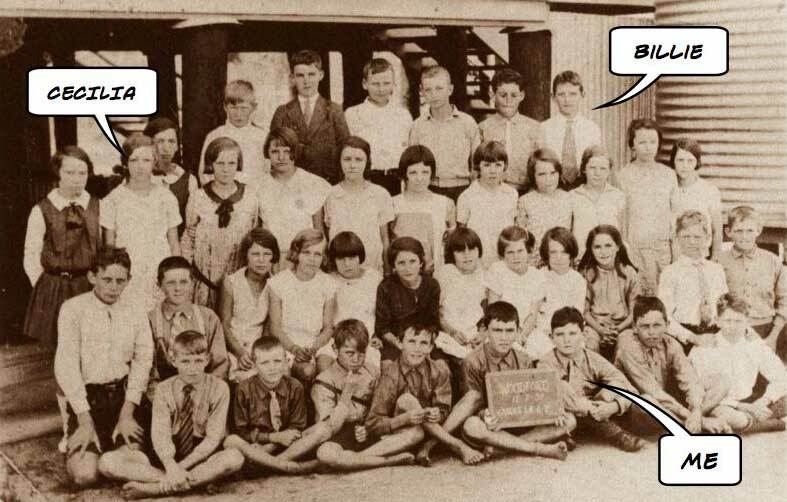 This is my class photograph. You can see my friends Billie and Cecilia in the photograph. 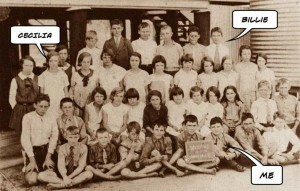 It was taken at Smithtown Primary School in 1921. A guide that sets out how insert images into your posts can be found in this adding images worksheet. A guide that sets out how to write, publish and add Internet links to your posts can be found in this writing posts worksheet. A team of Year Nine History students are charged with the task to resurrect the imagined lives of those long since dead and buried in the dust of time. The students will be recreating the stories of those who lived their lives during years of change, tumult and tragedy.